Leadership always involves a tug-of-war between the things you can control and the things that control you. Successful leaders win that battle more often than not. Many others succumb to a haphazard existence often described as "fighting fires." Certainly, there are many stress-inducers that we exercise little direct control over—client demands, project surprises, shifting market forces, employee misbehavior—to name a few. But there are others we control. Like which proposals we pursue. Yet many A/E firm leaders find it difficult to pass on virtually any opportunity where their firm is qualified to do the work, even in the face of long odds. They push aside less-urgent priorities and add another task to overloaded schedules, all for the sake of producing still another proposal with very little chance of winning. I call it the Proposal Monster. This beast lures us into a trap. It causes us to mistake illegitimate proposal activity for legitimate business development effort. It diverts attention away from more important matters. It gobbles up valuable resources that could have been more productively spent elsewhere—like on marketing or sales calls. It wrests control away from many of its unwitting victims. So many firms spend the bulk of their business development time on writing proposals. Invariably these firms have low win rates. They would be wiser to (1) push more time upstream to the tasks of building relationships and positioning the firm in advance of the RFP and (2) invest more time on the proposals where they have a genuine shot at winning. 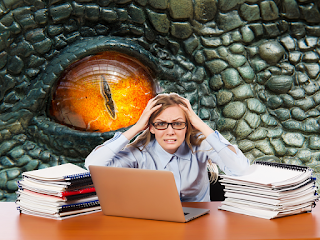 So how can you tame the Proposal Monster? Let me illustrate my recommendations with the example of an engineering firm that largely succeeded at doing it. This 100-person firm hired me as their business development manager on a part-time contract basis over a couple years. They had struggled for some time, with little growth, poor profitability, and high business development costs (12% of net revenue) that produced mediocre results. Establish a "no know, no go" policy. If a firm decides to submit proposals only when they've been talking to the client in advance of the RFP, that one step alone will eliminate most wasted efforts and increase the win rate. I've never seen any data on this, but my estimate is that for most firms there's roughly a 5% or less chance of winning if you submit a proposal without client contact prior to the RFP. Of course, every firm can recount an exception or two, and that's what entices us to keep trying despite long odds. We established this policy in the scenario described earlier. Exceptions required executive approval, in this case meaning either the president or myself. As I mentioned earlier, there wasn't full compliance, but the policy made a huge difference. Besides reducing the number of long-shot submittals, it encouraged people to contact clients earlier in the process—if for no other reason, so that they wouldn't fall victim to the policy in the future. Control behavior by limiting access to the marketing department. Perhaps your firm has attempted various policies like the one above, or a formal go/no go process, only to find it ignored by a significant number of key players. I don't advocate forced compliance with such policies. It's hard to tell seasoned professionals what sales opportunities they can or cannot pursue. Obviously, this tactic is dependent on your organizational structure. If marketers report directly to technical managers who lack discipline in their proposal pursuits, you've got a problem. It might be worth tweaking the organization to gain better corporate control over marketing staff access.